Those are just two among many examples. 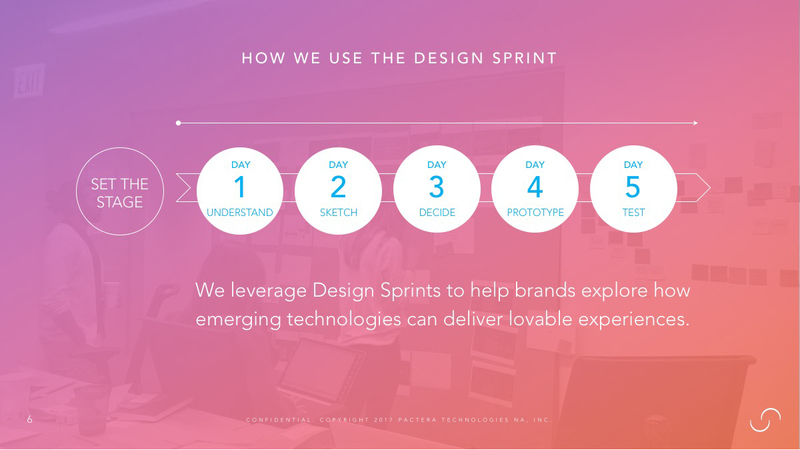 In our experience, the key to employing design sprints to solve real customer needs with useful prototypes is to connect the design sprints to a larger process that includes both design ideation and implementation. The “what comes after design sprints” is, in fact, the development and implementation that businesses often struggle with. As I discussed in my presentation, many businesses correctly use design sprints to create product prototypes as part of design thinking. But design thinking is limited. Design thinking can help identify the right customer opportunities and problems. But design thinking by itself will not deliver lovable experiences at scale. Validated prototypes are important. But they do not equal products and experiences. One solution to applying design sprints (and design thinking) to create scalable products and experiences is to combine design thinking with a product development process that requires the designers, engineers, strategists, and everyone else involved in product development to collaborate on both ideation and development. Too often, the cross-departmental collaboration ends with design thinking. The collaboration needs to continue with implementation. As I discussed today, Moonshot combines both ideation and implementation in a methodology we call Future Unified Experience Lifecycle methodology, or FUEL. FUEL accelerates business growth by aligning creating fit for products and experiences with customer needs. The first step toward FUEL is typically a design sprint, in context of design thinking. The design sprint sets the stage for all the work going forward so that we can identify the core questions, create viable, customer-centric solutions and validate with users to ensure fit. The outcome is a prototype minimum lovable product (MLP), or the product that will achieve the most customer love with the least amount of effort and cost. During lean innovation, we achieve velocity through iterative and incremental scrum delivery, which ensures that teams collaboration often. The outcome is the launch of lovable products and experiences that fit customer needs. In both design thinking and lean innovation, we act in agile fashion. Every design thinking cycle results in dedicated time to validate, iterate, and test low-fidelity-to-high-fidelity manifestations of the experience with the target consumer. Every lean innovation cycle results in a minimum lovable product that elegantly fits in new or existing markets for consumers. Learnings spur additional design thinking and lean innovation cycles. Put another way, agile is the engine for product ideation and development. Earlier this week I discussed FUEL in more detail on our blog here. The Sprint conference gave me an incredible opportunity to discuss this design and implementation approach with other thinkers and doers, get their feedback, and delve a bit more into the role of agile. The conference gave me insights that we’ll no doubt use at Moonshot to refine our own tool kit. I look forward to coming back to the event and am grateful for the chance to appear. For more insight into how to accelerate business momentum with tools such as design sprints, contact Moonshot.